Coe-Brown Northwood Academy is proud to announce the top ten graduates for the Class of 2017. 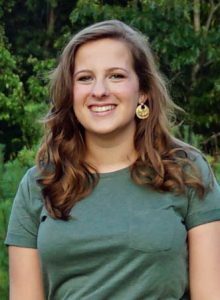 The Valedictorian for the class of 2017 is Hannah Daly, daughter of Bev and Tom Daly of Strafford. During her high school career Hannah has been a member of the Varsity Cross Country, Indoor Track, Basketball, and Softball teams. 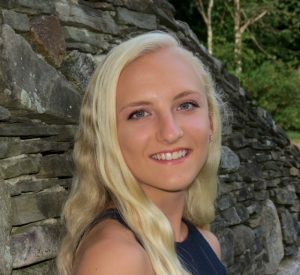 Hannah has also been a member of the National Honor Society, the CBNA Math Team, the Spanish Honor Society, the CBNA Writing Center, student government and has done over 180 hours of community service. Hannah has been accepted to Bucknell University, Colorado College, Gordon College, Cornell University, Dartmouth College, UNH, UVM, the United States Air Force Academy and Rensselaer Polytechnic Institute. Hannah has decided to attend RPI with a major in biochemistry and bio physics. The 2016 Salutatorian is Zackary Pine, son of Rick and Ericka Pine of Strafford. 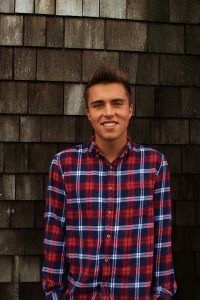 While at Coe-Brown, Zackary has been a member of the National Honor Society, the National Spanish Honor Society, the Baseball, Soccer and Basketball teams, the school newspaper, and the Concert and Jazz Bands. Zachary has been accepted to Rensselaer Polytechnic Institute, the University of New Hampshire and Boston University. He will be attending Boston University in the fall to pursue a major in physics. Cassandra Barnhart, daughter of Cheryl and Daniel Barnhart of Northwood has been a member of the International Thespian Society, the National Honor Society, the National Spanish Honor Society, Peer Helpers, the National Art Honor Society, and Project Search She has been accepted to Brandeis University, George Washington University, SLU Madrid, Clark University, Fordham University and the University of New Hampshire. 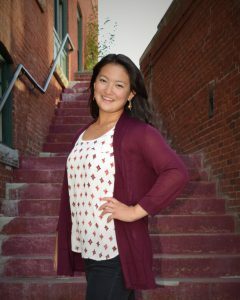 Cassandra plans to attend George Washington University with a major in International Affairs with a concentration in Conflict Resolution. Emelia Cronshaw, daughter of Jennifer Kristen Niles Cronshaw and Scott David Cronshaw of Strafford, has been a member of the CBNA Softball and Swim teams, National Honor Society, National Spanish Honor Society, National Art Honor Society, Tri-M Music Honor Society, the CBNA Writing Center, Athena Club and Peer Helpers while a student at Coe-Brown. Emelia has been accepted to Saint Francis University where she intends to study the path to become a physician’s assistant. Marissa Gast, daughter of Lee and Leanne Gast of Nottingham, has been a member of the National Honor Society, the Latin Honor Society, track and field, the Math and Quiz Bowl Teams, theatre, Athena Club, student government, Concert and Jazz Bands and the Concert Chorus while a student at CBNA. Next year, Marissa plans to study in the University of New Hampshire’s Life Sciences and Agriculture Honors Program with a focus on Environmental Science. 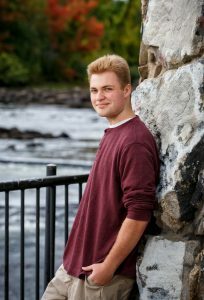 Joshua Hall, son of Jodie and Kevin Hall of Barrington, has been a member of CBNA’s Bass Fishing team, Ultimate Disc Club and the Concert, Jazz and Pep Bands during his years at the Academy. He has been accepted to the University of New Hampshire, the University of New England, the University of Rhode Island and the University of Massachusetts – Amherst. Joshua plans to attend the University of New Hampshire for Biomedical Sciences with a focus on medical and veterinary science. 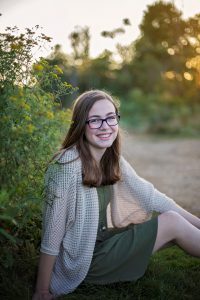 Caroline Lavoie, daughter of Kathryn and Chris Lavoie of Barrington, has participated in CBNA school life by being a member of the Creative Writing Club. She also dances at Joy of Dance and is a member of the Durham Evangelical Church Youth Group. Caroline has been accepted to Clark University, Gordon College, Northeastern University, St. Michael’s College, St. Anselm’s College, Mount Holyoke College and the University of New Hampshire. 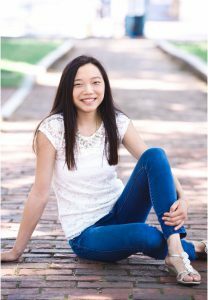 She plans to major in mathematics and history at either Mount Holyoke or Gordon. 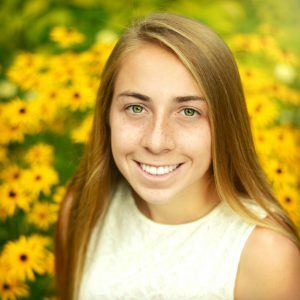 Mallory Perron, daughter of Jim and Maureen Perron of Barrington, has been a member of the National Spanish Honor Society, Peer Helpers and the CBNA Softball team while at Coe-Brown. 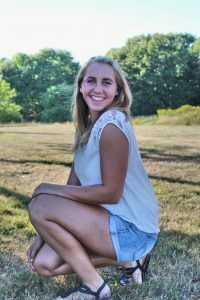 Mallory will be studying hospitality management at either Boston University, the University of New Hampshire or the University of Vermont in her post-secondary life. 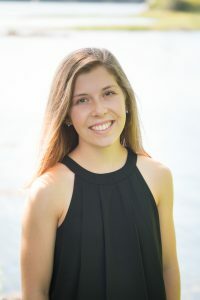 Allison Pratt, daughter of Jody Pratt of Dover and Keith Pratt of Barrington, has been a member of the National Honor Society, the National Latin Honor Society, student government and the Cross Country, Indoor and Outdoor Track and Field Teams. Allison has been accepted to Northeastern University, the University of Vermont, Radford University, the University of Maine and Montana State University. She has decided to attend the University of Vermont to study biology when she returns to school in the fall. LilyGrace York, daughter of George and Laura York of Strafford, has been a involved with of the National Honor Society, the National Art Honor Society, the CBNA Writing Center, Yearbook, student government, Youth and Government, Athena Club, Concert Band and has been a member of the volleyball team during her years at Coe-Brown. LilyGrace had been accepted to Mount Ida College, Endicott College, Suffolk University, Fashion Institute of Technology and Wentworth Institute of Technology. She plans to attend Wentworth to pursue a career in interior design.. 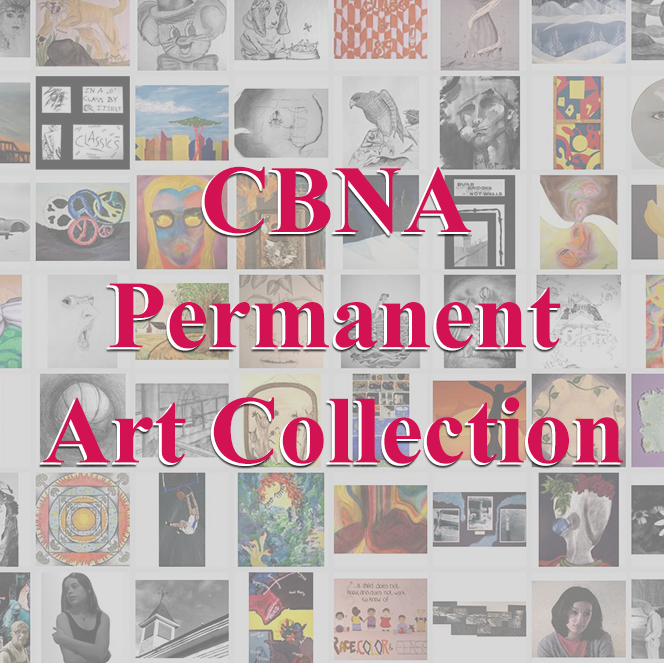 In addition, the CBNA Class of 2017 consists of 173 students scheduled to receive diplomas on Friday, May 26, 2017 at 7 pm. One hundred and forty-six of these students will be recognized as honor graduates and 25 are members of the National Honor Society. Congratulations to the class of 2017.